Areas protected under private ownership and governance. The Integrated Biodiversity Assessment Tool (IBAT) for business provides a visualisation and GIS download tool for Privately Protected Areas. The International Union for Conservation of Nature (IUCN) at the 2003 World Parks Congress defined Privately Protected Areas as “a land parcel of any size that is 1) predominantly managed for biodiversity conservation; 2) protected with or without formal government recognition; and 3) is owned or otherwise secured by individuals, communities, corporations or non-governmental organisations”. 1 Not all private conservation initiatives meet the IUCN definition of a protected area. Only those that do meet the definition are termed “Privately Protected Areas”. This form of governance comprises protected areas under individual, cooperative, NGO or corporate control or ownership. Privately Protected Areas may be managed under not-for-profit or for-profit schemes, and can fall into any of the IUCN Protected Area Management Categories. Although most marine waters are not privately owned, an increasing number of privately-owned islands are being protected, along with their coastal and marine areas. 2 While some Privately Protected Areas are included within national protected area networks (and are available within the World Database on Protected Areas), if they are not part of the national network their locations are often difficult to obtain. Individuals, corporations and other private bodies. There are no globally-recognised criteria for designation of Privately Protected Areas but it is generally accepted that they must be under some form of private ownership, and dedicated in perpetuity to the conservation of wildlife and natural resources. 6 In practice, however, commitment on perpetuity varies and may be renewed formally or informally at varying timescales depending on the owner’s preferences and incentives. These areas can be managed under a range of different objectives (see IUCN Protected Area Management Categories for further information on management objectives). The authority for managing the protected land and resources rests with the landowners, who determine the conservation objectives, develop and enforce management plans and remain in charge of decisions, subject to applicable legislation. In cases where there is no official recognition by the government, the accountability of Privately Protected Areas to society may be limited. The conservation objectives of these areas vary with ownership. For example, those acquired by NGOs might be managed predominantly for conservation, whereas individual landowners, in addition to aiming to support conservation, may pursue revenues from ecotourism and hunting, or a reduction in levies and taxes. These differences in objectives will result in a varying of management regimes within such areas. Privately Protected Areas are in most cases managed to secure biodiversity conservation although the motivations to do so will vary. Legal and compliance - The legal recognition and protection of different categories of privately protected areas varies. In some countries, Privately Protected Areas are legally gazetted through legislations or executive decrees and are monitored and evaluated by the government. Those areas which are protected under formal voluntary incentive programs designed to promote biodiversity conservation on private lands are also recognised and protected under the rules of the program for the contract period. Similarly, for other categories that are not necessarily legally gazetted, different laws and regulations that relate to activities conducted within such areas are likely to apply in order to maintain the conservation values. As some of these sites are legally protected areas, many will be included in a number of international environmental safeguard standards (see Protected areas for further information on environmental standards safeguards that relate to protected areas). Biodiversity importance - The biodiversity value of Privately Protected Areas varies as some sites are strictly reserved for the conservation of important species and habitats, while for others conservation is not the sole objective. Many Privately Protected Areas are contiguous with state protected areas, and therefore contribute to conservation not only by in situ protection but by serving as a buffer zone or ecological corridor for the state protected areas. 9 Several Privately Protected Areas are also maintained for their role in ecosystem services, where conservation may be one component of a diverse land-use strategy combined with agriculture, animal husbandry and watershed protection. Socio-cultural values - These areas are not directly associated with socio-cultural values, although a variety of human activities can be expected within such areas, such as ecotourism and recreational hunting, and many may hold cultural values such as recreation, as well as economic values such as the sustainable extraction of resources and commodities. These areas are, however, not typically those where traditional practices are carried out by local and indigenous communities, although there are some documented conflicts between the people traditionally inhabiting certain areas and the landowners, such as in the Chilean Patagonia 10 and in South African 11 game reserves. IUCN website on Privately Protected Areas. Watkins, C. W., Barrett, A. M., Smith, R. & Paine, J. R. Private protected areas: a preliminary study of initiatives to conserve biodiversity in selected African countries. (1996). Svensson, P., Rodwell, L. D. & Attrill, M. J. Privately managed marine reserves as a mechanism for the conservation of coral reef ecosystems: a case study from Vietnam. AMBIO A J. Hum. Environ. 38, 72–78 (2009). Bottema, M. J. M. & Bush, S. R. The durability of private sector-led marine conservation: A case study of two entrepreneurial marine protected areas in Indonesia. Ocean Coast. Manag. 61, 38–48 (2012). Sims-Castley, R., Kerley, G. I. H., Geach, B. & Langholz, J. A. Socio-economic significance of ecotourism-based private game reserves in South Africa’s Eastern Cape Province. Parks 15, (2005). Langholz, J. A. & Lassoie, J. P. Perils and Promise of Privately Owned Protected Areas. Bioscience 51, (2001). 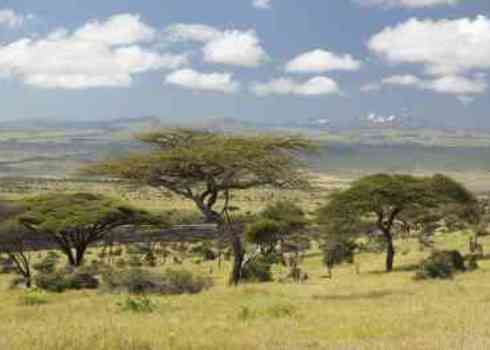 Carter, E., Adams, W. M. & Hutton, J. M. Private protected areas: management regimes, tenure arrangements and protected area categorization in East Africa. Oryx 42, 177–186 (2008). Buscher, B. & Whande, W. Whims of the Winds of Time? Emerging Trends in Biodiversity Conservation and Protected Area Management. Conserv. Soc. 5, 22–43 (2007). Holmes, G. What role do private protected areas have in conserving global biodiversity? Sustainability Research Institute Papers. No 46. Sustainability Research Institute, University of Leeds (2013). Jones, C. Ecophilanthropy, Neoliberal Conservation, and the Transformation of Chilean Patagonia’s Chacabuco Valley. Oceania 82, 250–263 (2013). Brooks, S., Spierenburg, M., Van Brakel, L., Kolk, A. & Lukhozi, K. B. Creating a commodified wilderness: Tourism, private game farming and “third nature” landscapes in Kwazulu-Natal. J. Econ. Soc. Geogr. 102, 260–274 (2011).